A relatively equal society (i.e., one in which the total of the top 20% of incomes is less than 5 times the total of the bottom 20% of incomes) is able to sustain a shared understanding among its members. But if, as in the U.S., the top fifth are getting eight or nine times what the bottom fifth are getting, there’s a disconnect. The wealthy are beyond attainability, beyond any story of deservingness we could tell ourselves. We lose the sense that we’re in this together. The wealthy become “them.” We can’t see "them" as caring about "us" -- so we don’t care about them. Anomie and division set in: anger and alienation. "Abandon all hope, ye who enter here"? Sensing our resentment, they retreat behind gated communities, which further increases the disconnect. We begin to believe the game is rigged; we don’t have a chance. When we believe that, we become more likely to behave in ways that make that a self-fulfilling prophecy. Yes, our neighbor really is our self, so when there are neighbors we don’t care about, we don’t care about ourselves, don’t do the things that better conduce to our own well-being. Rich and poor alike feel the division, the disconnect, and respond with higher levels of depression, higher levels of consuming things that aren’t good for us: from drugs to alcohol to junk food to mindless TV shows to mindless consumer products. Our spirits are not whole when inequality is so massive – and our spirits long to be made whole. The benefits of equality show up all over. They show up, for example, on baseball teams. “A well-controlled study of over 1,600 players in 29 teams over a nine-year period found that major league baseball teams with smaller income differences among players do significantly better than the more unequal teams.” (Wilkinson and Picket, The Spirit Level, 237). Yogi Bierra, the baseball player who pronounced his team, "lost, but making good time," also, on another occasion, expressed (charmingly, if nonsensically) that spirit of equality and basic care. A reporter asked him what he would do if he found a million dollars. Yogi said, "If the guy was poor, I'd give it back." My colleague, the Unitarian Universalist minister at our Clearwater, Florida congregation, the Rev. 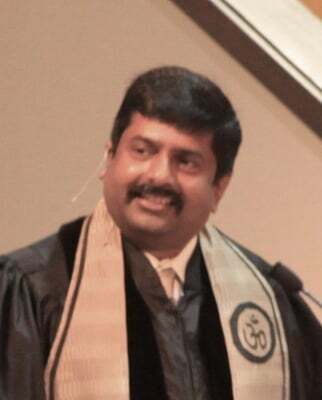 Abhi Janamanchi, was born and raised in India. He was a young adult before he ever left India. At our District gathering in Jacksonville last month I heard Abhi share his Odyssey. The annual Odyssey presentation is a tradition among the Unitarian Universalist ministers of Florida, as it is in a number of our districts. I was honored to present my Odyssey last year (I have gotten around to posting only the first part of it on Lake Chalice: click here), and this year Abhi had that honor. He spoke movingly of the shock of coming to this country. Of course, there was a new language to be learned and a new culture. But it wasn’t just that US culture was different. It was that it was so disconnected. And so unhappy. There are many poor in India. By sheer material standards, India's poor are worse off than most of the U.S. poor -- except that almost all Indians do have some kind of home: a shanty perhaps, but there is relatively little homelessness in India. What was striking was the despair in the U.S. In both the homeless poor and those who have a place to live, the weight of despair brings with it dysfunction. Abhi spoke of the joy in life that in his homeland is evident even among the poor. It was moving and disturbing and hopeful all at the same time. There is a joy in community and connection to which material wealth, or lack of it, is all but irrelevant (as long as ill health and strong hunger are mostly at bay). High levels of social inequality destroy the basic grounding for that community and connection. This is part 5 of 7 of "Our Spirits Long to Be Made Whole"
Next: Part 6: "Deep Rooting of a Passion for Connectedness"
Previous: Part 4: "Love Knows No Means. It Knows Standard Deviation"